A new beautiful edition to the Bayala range. Isabelle has movable arms and comes with removable accessories. 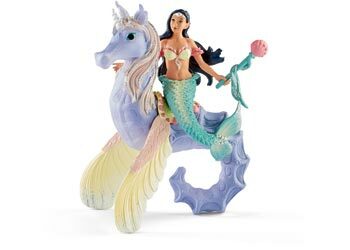 She holds securely to her magnificent sea horse with a magnet.